Mornsun valmistaa DC/DC-muuntimia alueelle 1-100 W. Erityisen vahva valikoima Mornsunilla on alle 10 W teholuokissa. Valikoimaan kuuluvat isoloidut-, isoloimattomat muuntimet, yksi- ja moniulostuloiset muuntimet ja asiakaskohtaiset/custom -ratkaisut. MORNSUN offers most comprehensive programs for standard DC/DC converters, provides you with a diverse selection of package configurations, input and output voltage options, protections and special features. We offer single and dual output, isolated and non-isolated DC-DC power module from 1 to 150 watts in different footprints including SIP, DIP, SMT, 1x1, 2x2, and also DIN Rail mount and Chassis Mount options. 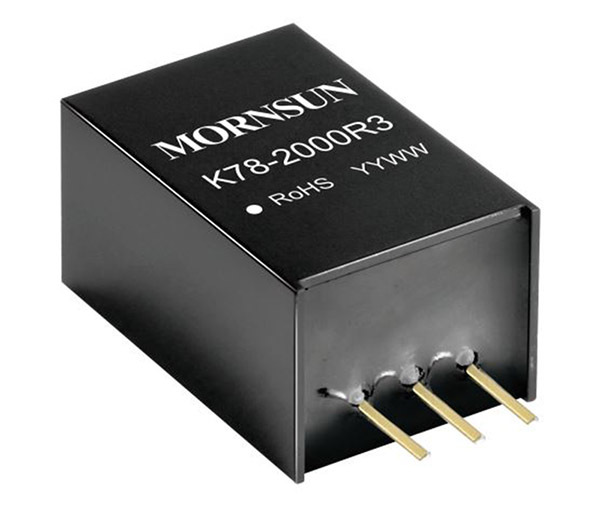 Mornsun DC/DC converters are ideal for industrial control, communications industry, electric power system, rail transportation, intelligent building, automotive electronics, etc. Mornsunin DC-DC -muuntimien tuotevalikoimasta tarkemmin alla olevasta linkistä.